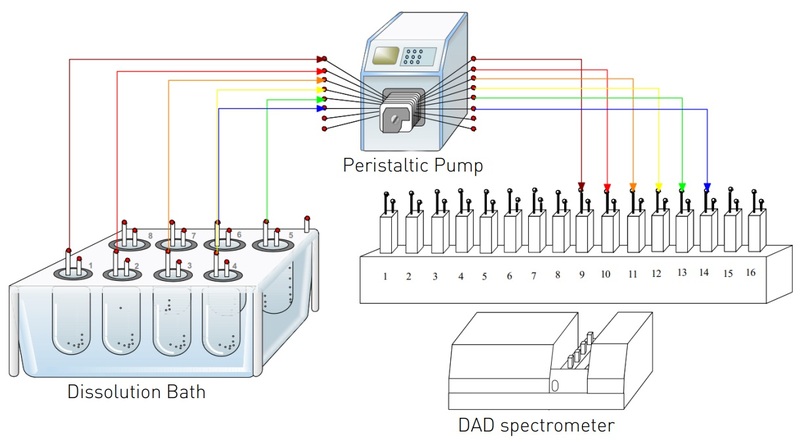 The online dissolution system ADS-L 1220 consists of a Pharma Test dissolution tester PTWS 1220, the DAD UV/VIS spectrophotometer TIDAS® L and a multi-channel pump. 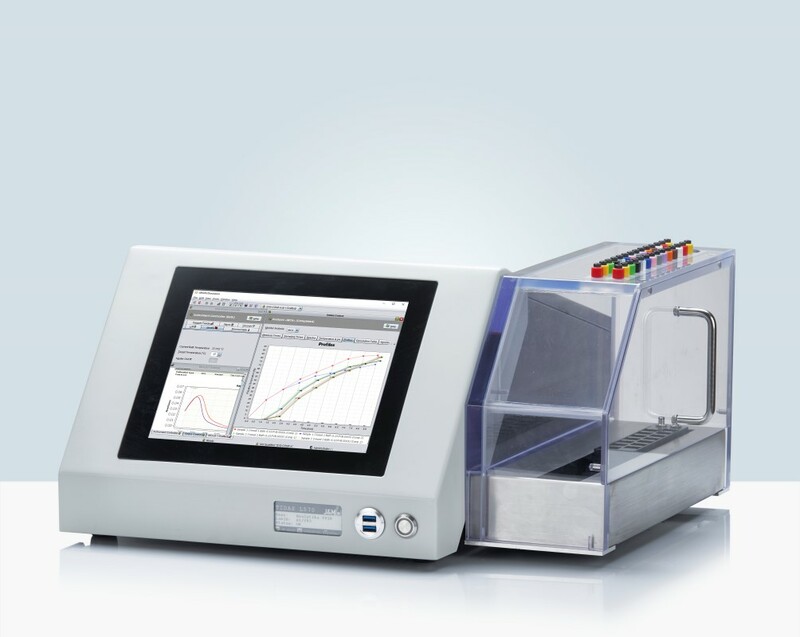 The system is controlled by the 21 CFR Part 11 compliant user friendly WinDiss ARGUS dissolution software. All instruments are compliant to regulations from USP/JP/CP/EP/USFDA/ASTM and come with a 2 years warranty. One company is responsible for the support of all components. 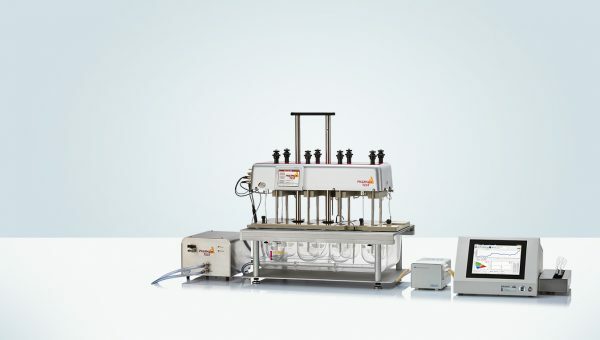 The PTWS 1220 is a 12 position 6-by-2 dissolution bath with an automated lift system for the instrument head. The media sampling is performed with the EPE-1220 moving the sampling tubes into the media to the selected sampling position. 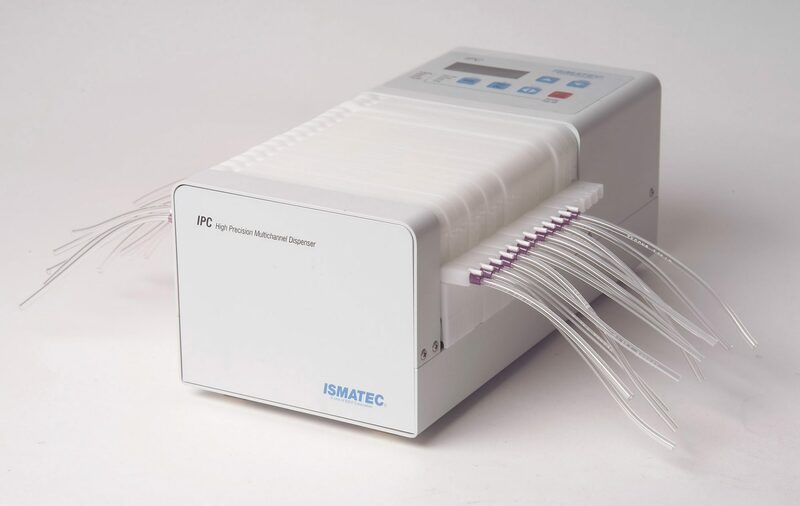 Each sampling tube can be equipped with in-line filters to avoid the transfer of undissolved particles into the measurement cells of the spectrometer. Furthermore, the TIDAS® L spectrometers feature an additional E-ink display which acts as a smart type plate. It shows data like your lab asset or inventory number, the date of last calibration or the due date of the next calibration. Due to the unique nature of the E-ink displays, this information remains visible even when the instrument is turned off. This makes it easy to assess the condition of instrument at a glance. The light in the TIDAS® L is transferred over solarization resistant fiber optic cables from the light source to the detection system. No parts are moving in the light path which gives a very high robustness, reproducibility and stability compared to scanning spectrometers. The use of certified optical fibers in combination with optimized measuring cells ensures reliable measurement results. The picture below shows the 14-cell changer with 2 additional ports for fiber optic probes. The fiber optic channels can be used to get more detailed information about the dissolution process. All optical parts for these 2 additional channels are included. Only fiber optic probes needs to be added to the system. Very fast measurements of the complete spectra. 14 cuvettes are measured in about 15 seconds.